If your business is looking to benefit from conversion rate optimization (CRO), you may want to consider user experience. The last thing you want is for your customers to abandon your web site along the conversion path because of an issue with your site. E-commerce giants like Amazon and Ikea are constantly working to streamline their customer experience, and if you abide by the following tips, the rest of your conversion funnel will also benefit. What Is the Actual Meaning of User Experience? User experience (UX) is all about what you feel and believe while interacting with a product, service, or system. It’s about your perception, sense of accomplishment, behaviour, and response from using that object. But even UX can be influenced by different things. Three main things that affect UX are the user’s state of mind and previous experience with a particular product, service or system; the system’s properties; and the context in which the usage is happening. How Do Businesses Benefit from a Good UX? If you want your business to have a strong and positive reputation in the market, you should be doing your best to consistently provide a good UX. Visitors that become your customers will be more likely to pass along a positive message to their networks regarding your web site and business, which will encourage more prospects to come your way. Having a reputation like this will lower your costs of marketing (attracting and retaining customers) and win you a loyal customer following as well. Almost 50% of customers who visit the web site expect pages to load in less than two seconds. The majority of these customers will abandon their web site if it takes longer than three seconds to load. Most businesses cannot afford to lose this huge percent of traffic to their web site, so to avoid this from happening, web site user experience optimization needs to continuously be a priority to make sure the speed is as quick as possible. Loading times not only affect site traffic, but also the conversion rate. For every second it takes a page to load, your conversions can fall by about 12%. A good UX means your customers are going to spend more time looking on your web site for items or services they need, and less time waiting for the information to load. Be sure to include conversion tracking in your priority list. The best kind of a web site promotion is organic, and it comes from what your customers do for you. By using social media, for example, you can increase your user engagement. If users are enjoying themselves and getting what they need out of your web site, they will be more likely to share your posts and distribute information about your business to their networks. The bounce rate refers to the percent of visitors who abandoned your web site after only looking at one page. If you have a high bounce rate it means that a lot of your marketing efforts are going to waste. You should make every effort to lower this number so you can increase the quality of traffic to your page and stretch your marketing dollars. In your conversion funnel optimization efforts, you should do whatever you can to avoid anything that puts data indecision into the mind of the user, leading them to abandon your site. You will know that your site has high effectiveness if users are able to complete the task that they desire. If your viewers are navigating away from your site without completing the task, this means that your web site has low effectiveness. 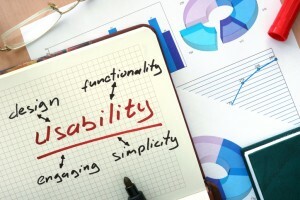 If your web site has low effectiveness, you can increase it by giving importance to the functionality of your web site, and making accessibility a priority. The main goal of your web site is to generate sales for your business, and anything that gets in the way of this final step should be discouraged. If you’re providing something that is difficult to reach or unavailable when needed, it becomes useless. This is why you must prioritize accessibility so that the critical features of your site are available at the right time in the right place. An optimized user experience requires your web site to perform as efficiently as it can. This is determined by the speed and ease with which users can execute tasks. For example, you should have a clear “call to action” (CTA), your web site should offer something enticing in return for their action, it should have a narrow focus, it should showcase very important attributes on your main page, it should have effective headlines to grab your attention, and it should not be cluttered with too many visuals. 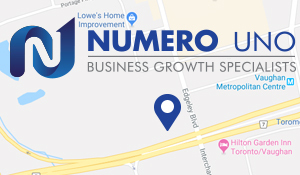 If you’re looking for tips and advice on how to improve your web site’s SEO conversion rate and boost user experience, Numero Uno Web Solutions is the team you need. We provide our clients with many marketing solutions such as SEO, content audit services, online reputation management, web designing and development, and more. We are a content marketing agency in Toronto that specializes in helping small- to medium-sized businesses improve their web sites. For years, we have helped clients across the Greater Toronto Area, Texas, Massachusetts, and Florida optimize their marketing strategies and grow their businesses. Call us at 1-855-SEO-XPRT to learn more about the services and expertise we provide.